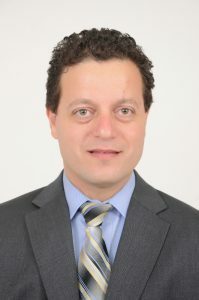 Strauss Group Chairperson, Ofra Strauss, today announced the appointment of Dr. Samer Haj-Yehia to the Group’s board of directors as an external director, after the appointment was approved by the general meeting of shareholders of the company. Ofra Strauss, Chairperson of Strauss Group: “I am happy that the general meeting of shareholders has approved the board of directors’ recommendation to appoint Dr. Samer Haj-Yehia to the board of directors. His appointment follows the recent appointment of Ms. Dalia Narkys, who joined our board several months ago as an external director, and the retirement (following expiration of the term of office permissible by law) of Professor Dafna Schwartz, Dr. Michael Anghel, Dalya Lev and Akiva Mozes. “Every member of the board of directors has a significant role in shaping our development as a company. I would like to wholeheartedly thank Dafna, Dalya, Michael and Akiva for their great contribution to the Group’s maturation and its success. Strauss’s board of directors recommended Dr. Haj-Yehia’s appointment following a professional process carried out in the past several months, led by the board’s nominating committee and accompanied by an independent outside consultancy.